With Take Your Dog to Work Day just around the corner (June 26th), here are some possible outcomes of bringing your furry friend to the office. You will be less stressed. Studies have shown that dogs reduce the risk of cardiovascular disease and lower blood pressure and autonomic stress responses. You probably won’t need to take many sick days with a dog keeping your health in check. You will take more breaks. How often do you find yourself glued to your computer monitor plowing through your necessary daily tasks. Dogs need potty breaks, fresh air, and exercise. Taking breaks not only improves morale, but productivity as well. You will experience better office relationships. 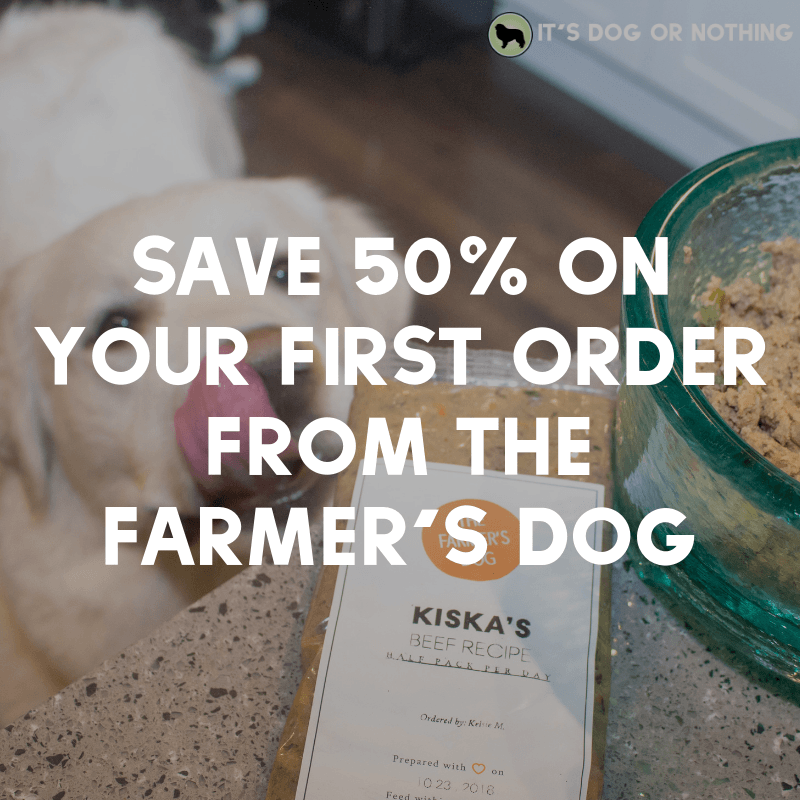 Nothing breaks the ice and sparks a conversation like having a dog around. 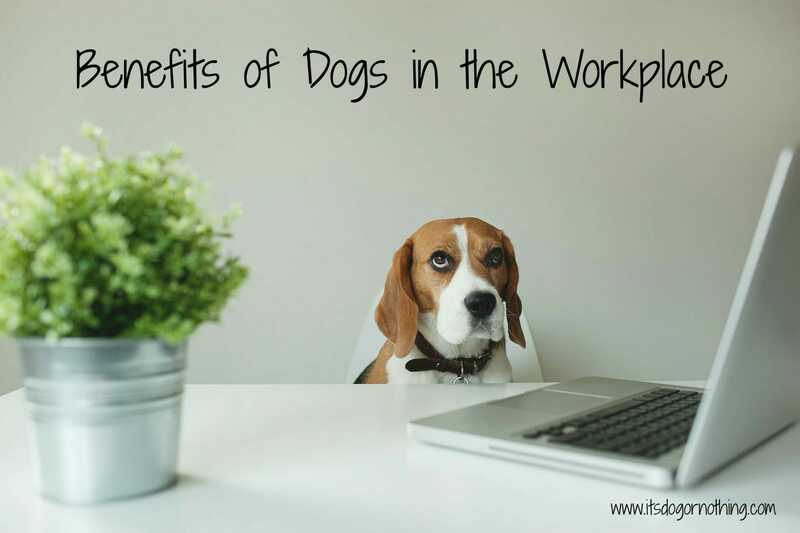 Dogs promote friendly, social interactions to boost workplace relationships. This friendliness is immediately noticed by consumers and creates a positive company image. Your work performance will improve. Dogs put us in a good, happy mood, which enhances overall job performance. You will be more creative. Dogs spark “out of the box” thinking and provide an interruption to your workflow. These breaks allow for a brief mental break so you can come back revitalized and with a new perspective. I still haven’t decided if I’m going to ask my boss about Take Your Dog to Work Day. 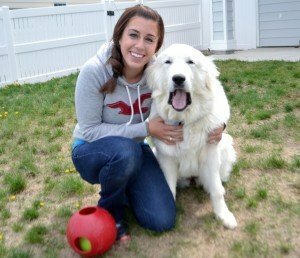 I would absolutely love to have Atka spend the day in my office with me and I know my clients would be thrilled. They are always wanting to meet the fluffy butts! Will you be taking your dog to work on Friday? Is your company already pet friendly? Would your dog make a good office dog? I have one dog that would love going to work with DH the other would be stressed. I think the idea is great, the problem is what I just stated above. I know one would be wonderful and a great ambassador for the idea of animals in the work place, the other would be less so because she is more shy and people can feel rejected if she doesn’t react in a positive manner to the attention she wants to give. It becomes even more of an issue when people don’t recognize the personality challenges that are even more of a challenge in bringing a pet into the work place and I’ve encountered all too many people who fail to see that while they may ignore the bad behaviors of their darlings those behaviors are not appropriate for public venues, especially work when you have even less time to control those behaviors. So, I fully support the idea of bringing dogs to work. The challenge is having people who understand the need for matching the dogs temperament and behavior to the work environment. Sadly a few people can ruin it for the ones who do understand the need for dogs to fit into the work environment. One dog who scares or intimidates a coworker and the company can crack down on all. A dog who constantly barks and annoys those around it can also bring down the hammer on a great policy for those who enjoy having animals around. It is definitely important that the dog has the proper temperament. Some dogs would not do well in that sort of environment! All this is true as long as the humans are responsible dog owners. No one want doggie jump up or poop on the shoes. I’m trying to find a job right now where this would be possible every day! That would be so awesome. I hope to get one eventually as well! These are amazing points! I’m get to pick up my puppy in the first week of August and am lucky enough to have a pet friendly office! 🙂 I just started a blog you can check out here: http://www.raebyday.wordpress.com and I’ll definitely write a blog post on it!